Buy now, pay later. Credit cards give people that choice. Those billions of small pieces of plastic in use all over the world make it easy to buy things. But people who use credit cards irresponsibly can soon find themselves heavily in debt. Cardholders may not think about it, but they borrow money from a bank or other lender each time they charge something. They avoid interest charges if they pay their bill in full each month. But if they only make the minimum payment, the lowest required, it may take years to pay off a debt. Interest is continually charged on the unpaid balance. A credit card may have a number of costs. First, there is the interest charge on purchases, known as the annual percentage rate, or A.P.R. In the United States right now, the average is between thirteen and fourteen percent. Some cards are a lot higher. Many also charge yearly fees of twenty-five dollars or more just to keep them. Cardholders may have to pay cash advance fees if they withdraw money from a credit card. There are also fees if they go over their credit limit, or if a payment is late. Lenders may also raise interest rates as punishment. 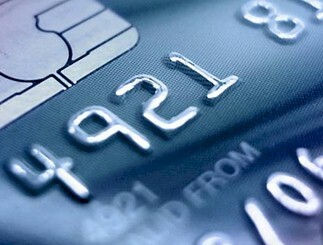 In the United States, credit card fees have become a political issue. Congress has threatened to take action against what critics call abusive behavior by lenders. Yet getting a credit card has become a lot easier for most people. Maybe too easy: People receive offers in the mail of pre-approved cards that they never asked for. Many cards offer low rates at first, especially if people agree to move their balance from another card. About half of all Americans have at least two credit cards. And the credit rating agency Experian says fourteen percent of the population has more than ten. Jeanne Hogarth at the Federal Reserve, the central bank, says the average family has four credit cards. But families that carry a balance, meaning they do not pay off their statements each month, have an average of five. In nineteen eighty-eight Americans had three hundred thirty billion dollars in credit card debt. Last year it was eight hundred forty billion. In the latest government study, the average credit card debt for all households was more than three thousand dollars. But for those that carried a balance, the average was five thousand three hundred. GLOSSARY: buy now, pay later: compre ahora, pague después; choice: alternativa; all over the world: en todo el mundo; make it easy: facilitan; irresponsibly: irresponsablemente; in debt: sumamente endeudados; cardholders: los poseedores de tarjetas de crédito; borrow: piden prestado; lender: prestamista; avoid interest charges: evitan los débitos de intereses; bill: cuenta, factura; in full: completa; payment: pago; lowest required: mínimo exigido; to pay off a debt: saldar una deuda; unpaid balance: saldo impago; costs: costos; purchases: las compras; known as: conocido como; average: promedio; yearly fees: tasas anuales; just to keep them: sólo para mantenerlas; cash: al contado; withdraw: retiran; go over: exceden; late: atrasado; raise: subir; punishment: penalidad; have become: se han transformado; threatened: amenazado; to take action against: confrontar; abusive behavior: comportamiento abusivo; yet getting: aún así conseguir; maybe too easy: quizás demasiado fácil; offers: promociones; agree: acuerda, acepta; at least: por lo menos; credit rating: evaluadora de crédito; carry: arrastran; meaning: lo cual significa; statements: extractos o resúmenes de cuenta; households: hogares.